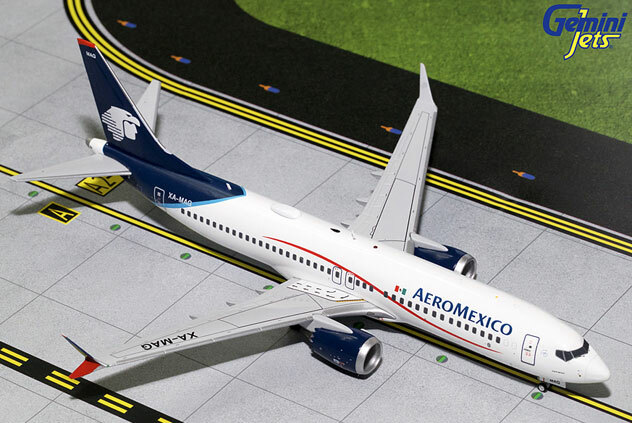 Gemini200 Models: one limited edition collectible, die cast airliner model, in a 1/200th scale of a Boeing B737-8Max in the AeroMexico Airlines Current Delivery Colors Scheme. Model Stand included. Airframe Registration XA-MAG. The model is constructed of metal with some plastic parts. This product was released in July, 2018. JC Wings200 Models: one limited edition collectable, die-cast airliner model in a 1/200th scale of an Boeing B767-25D/ER in the AeroMexico Airlines NEW 2007's Colors Scheme. Model stand included. Airframe Registration XA-EAP. This model is constructed of die-cast metal with some plastic parts. This product was released in Released in November, 2013. JC Wings Models: one limited edition collectable, die-cast metal airliner model in a 1/200 scale of a Boeing B787-8 Dreamliner in the AeroMexico Airlines Current Color Scheme. Airframe Registration N965AM. This model is constructed of die-cast metal with some plastic parts. Model Stand is included. This product is available beginning in May, 2016. Gemini250 Model: one limited edition, collectible die cast airliner model in 1/250 scale. 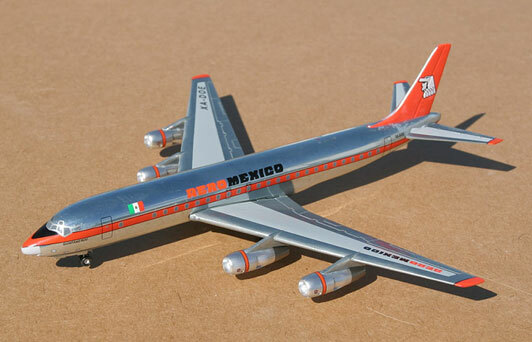 All construction is made of metal, of an McDonnell Douglas DC-8-50 in the AeroMexico Durango Colors. Airframe Registration, XA-SIA. This models is available as April, 2005. NOTE: This is a very delicate Collectors Model with movable parts. This product is intended for display purposes only, not to be man-handled or played with.Each model is meticulously inspected prior to shipping. In the event of DAMAGE. This product does NOT Qualify, nor is suitable for REFUNDS, or EXCHANGES.